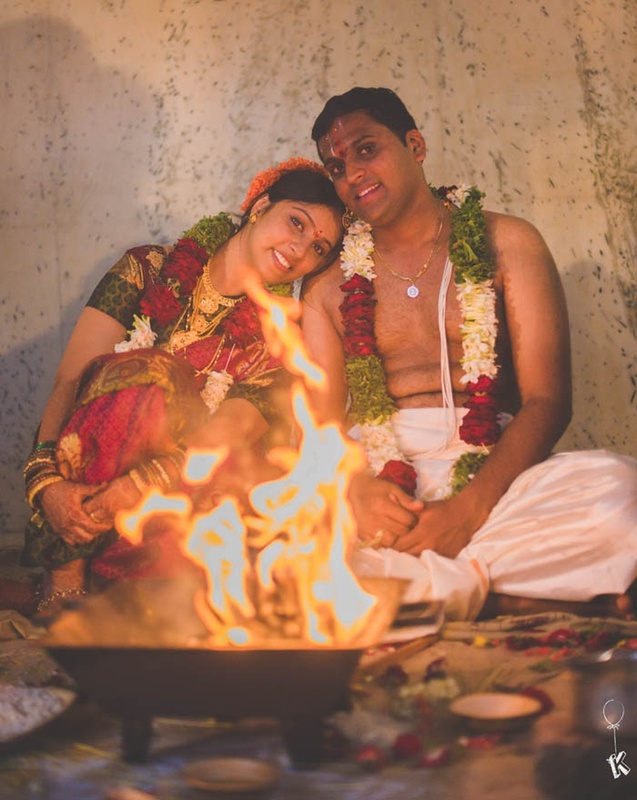 After fourteen years of study sessions, dinners, lots of laughter - this couple realised their love for each other after losing touch for a while. 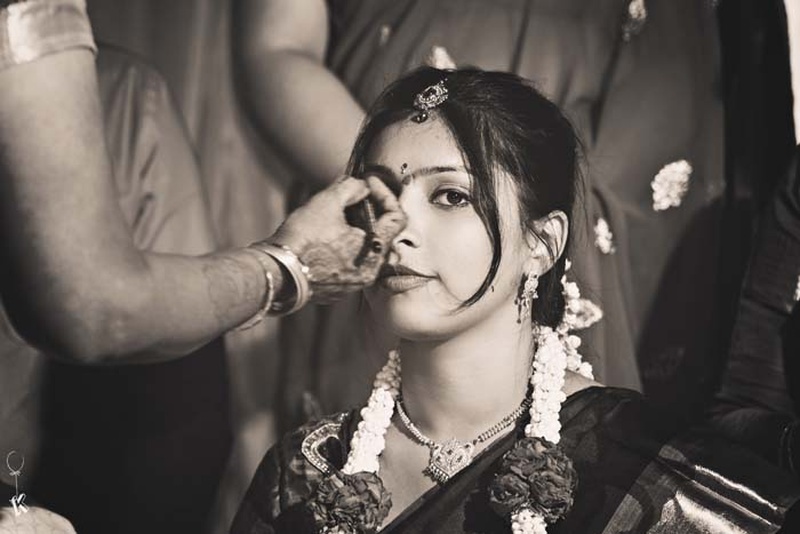 Rohini had moved to Bangalore, and her absence made Abhijith’s heart grow fonder. 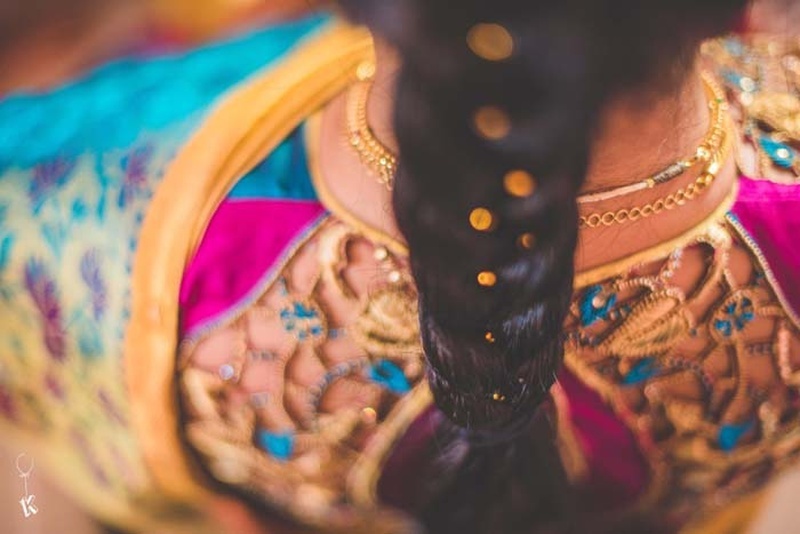 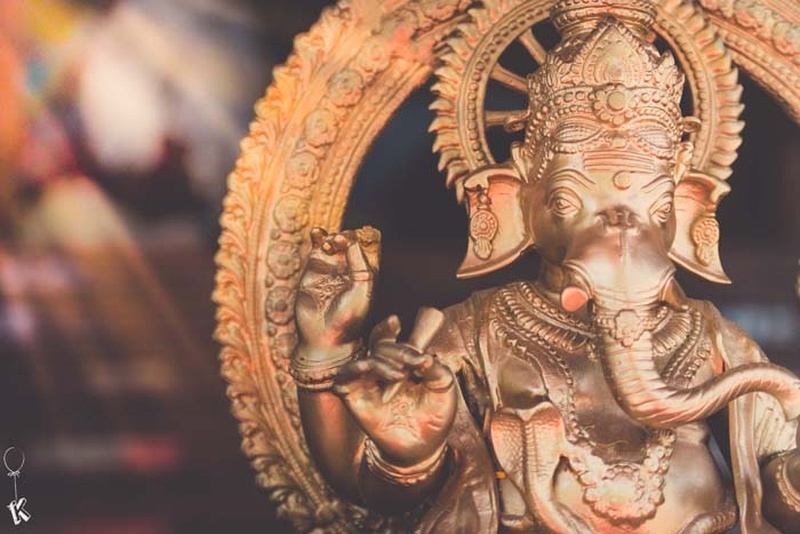 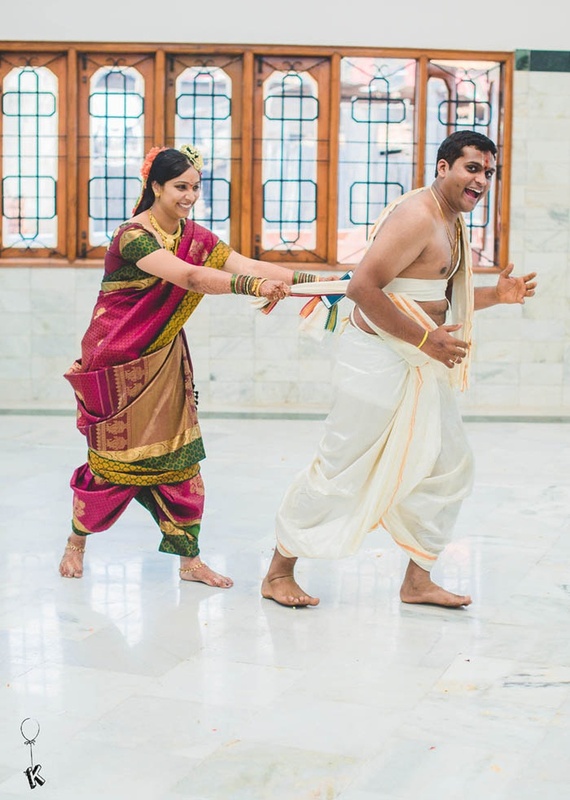 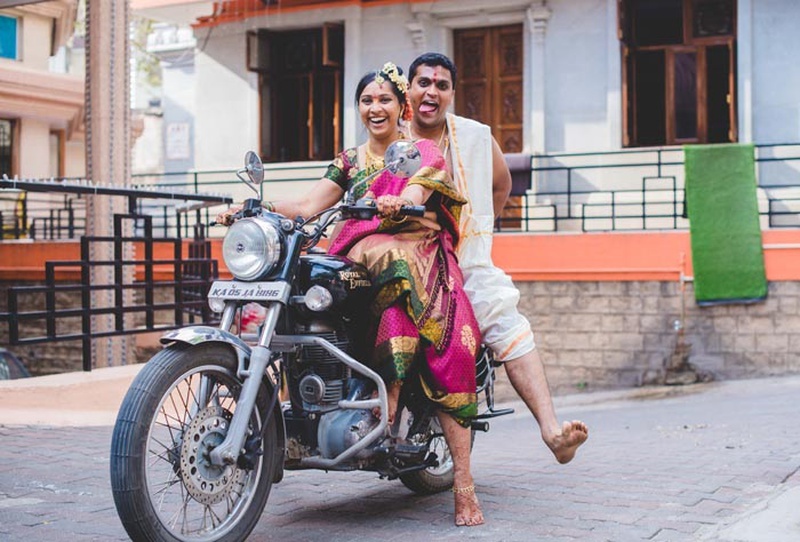 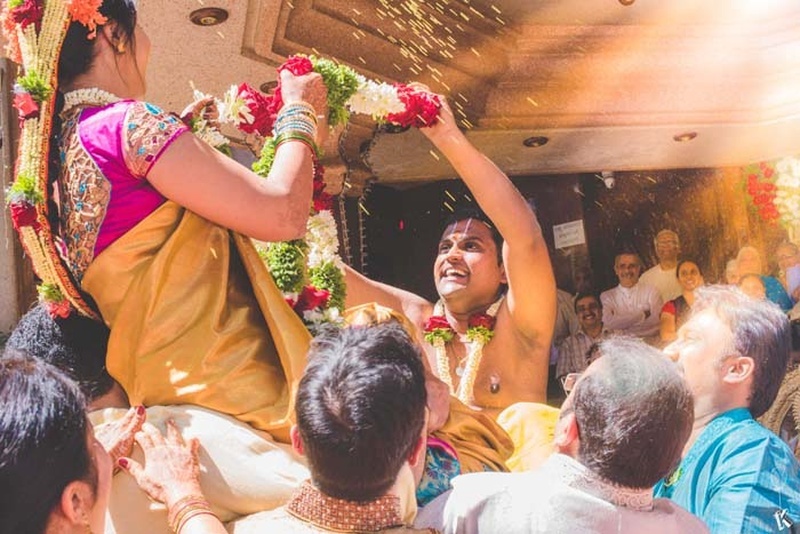 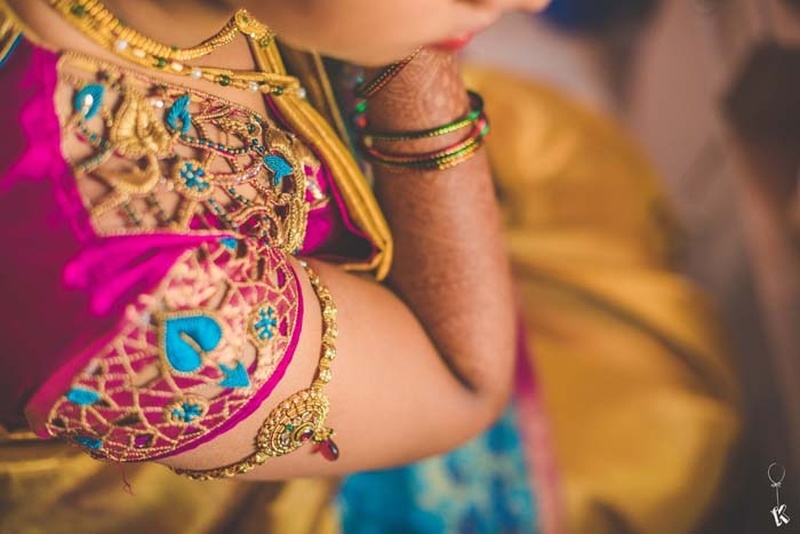 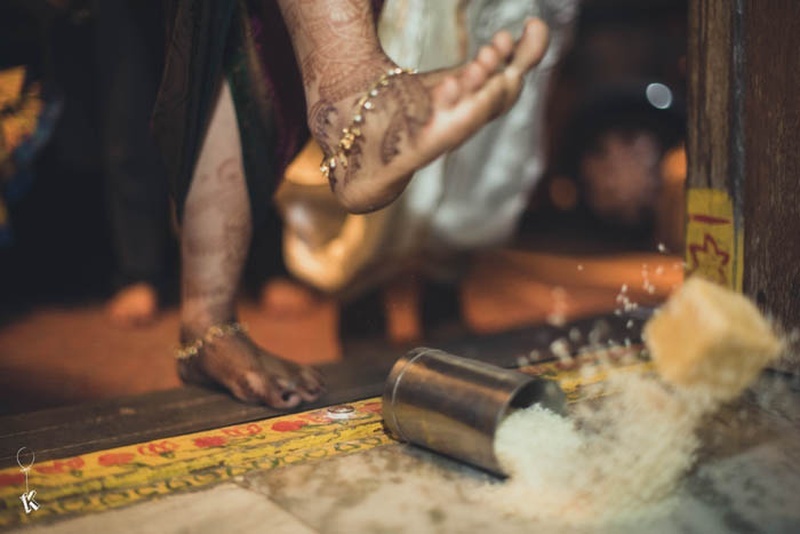 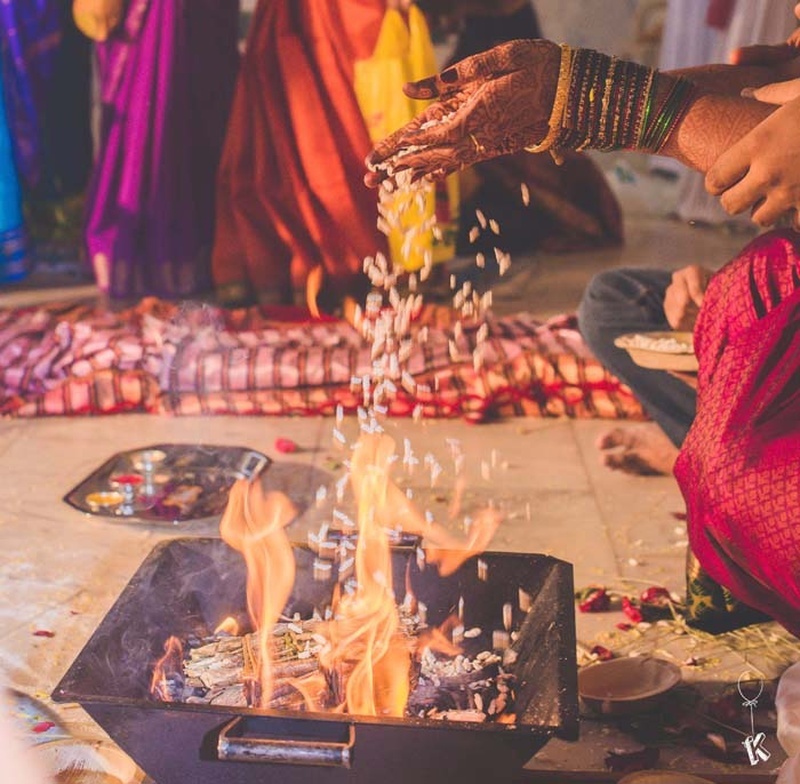 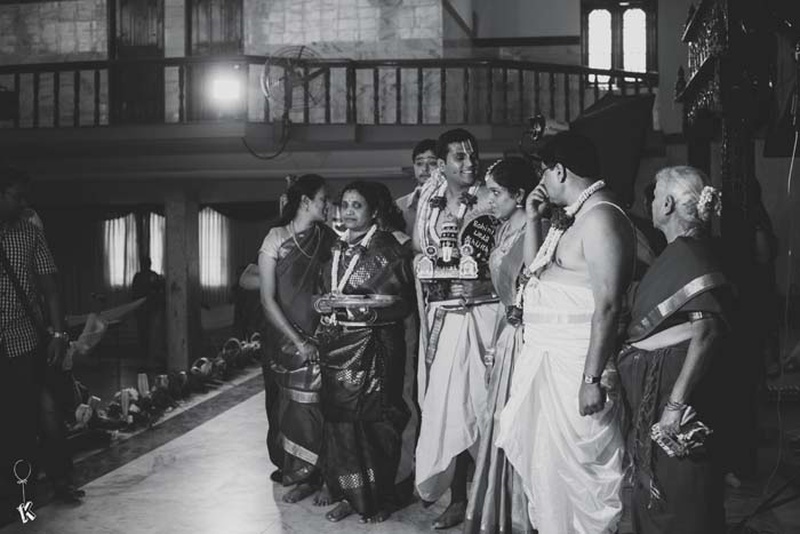 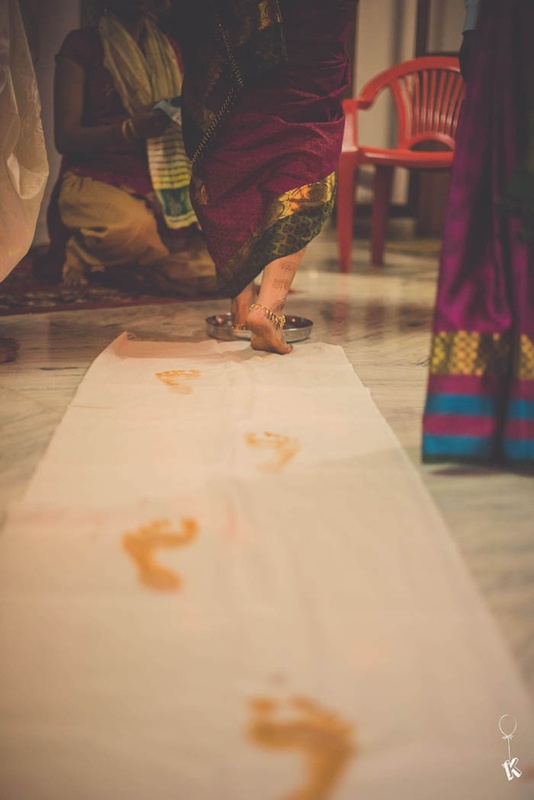 Once she came back, Abhijith didn’t waste a second and proposed to her for marriage the complete traditional way – where he along with his parents approached Rohini’s parents to ask for their children to be united in marriage. 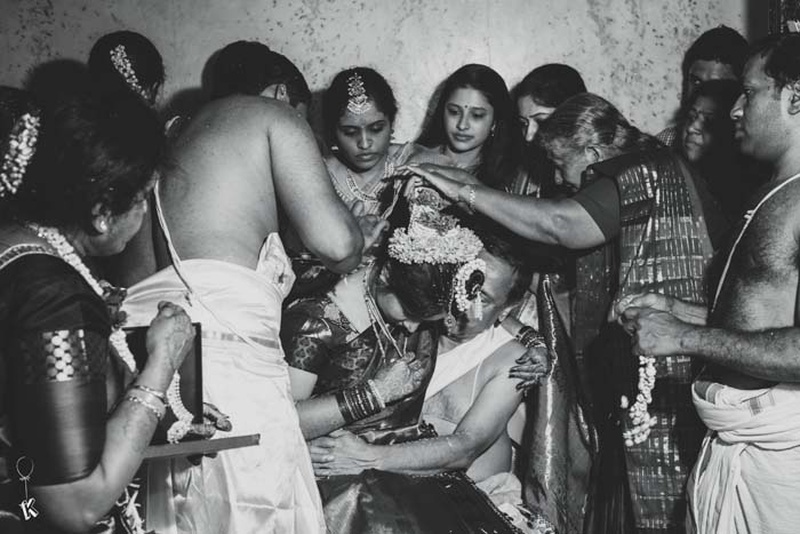 How often does one see this happening in the 21st century? 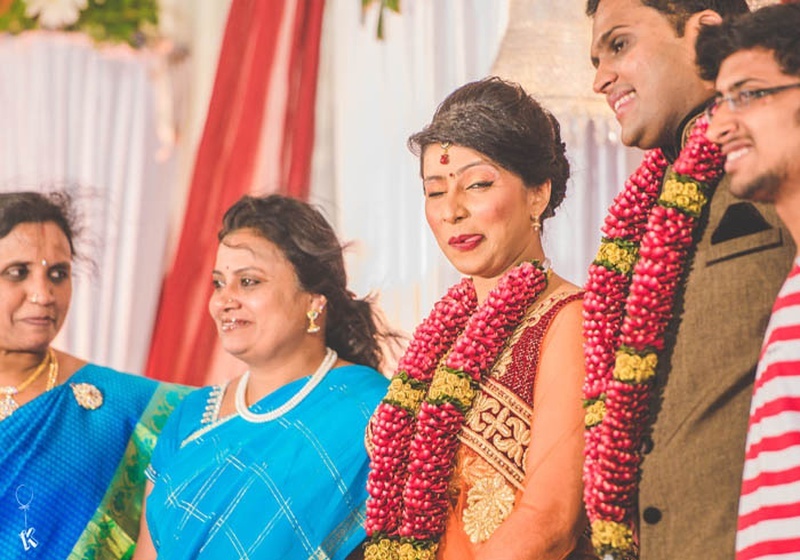 And there the celebrations began! 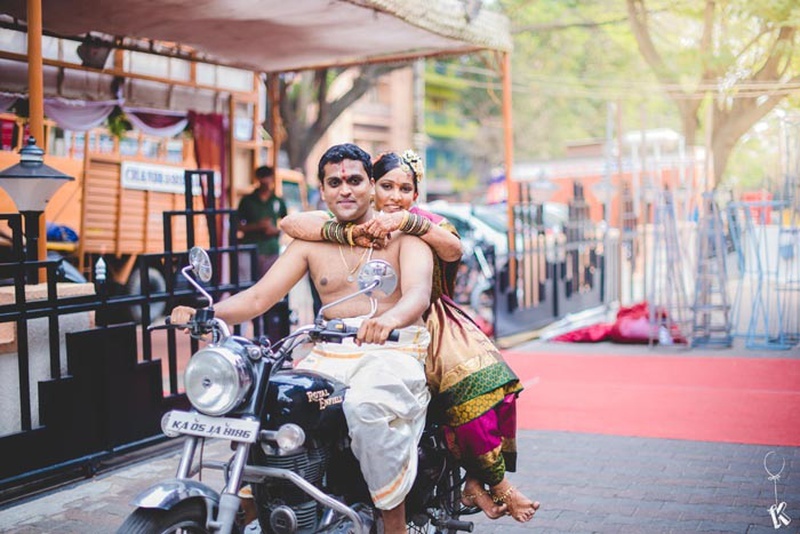 They carried out every aspect of their wedding with a perfect blend of tradition and contemporary style - right from the pre-wedding photoshoot to every ceremony. 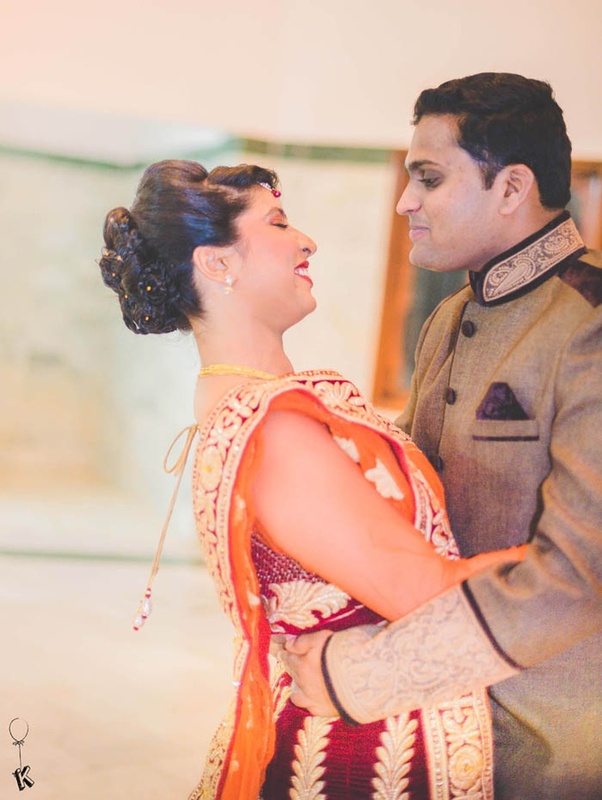 The serene space at Sakleshpur lent an ambiance that was just perfect for a romantic pre-wedding shoot. 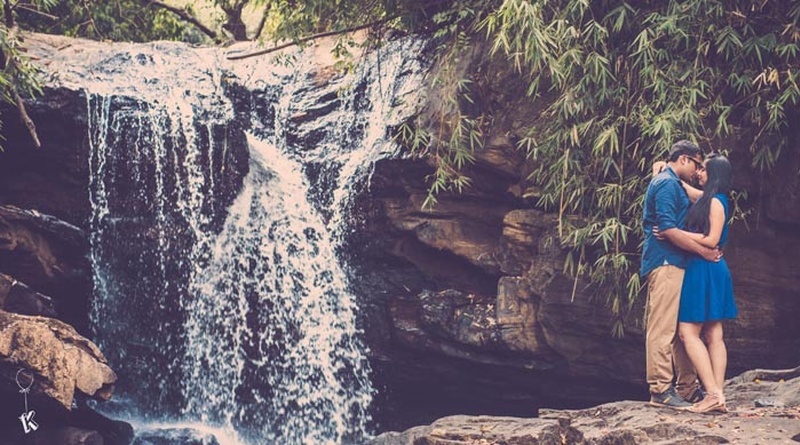 The waterfall, the lush green trees and these two individuals lost in love – it was the perfect setting! 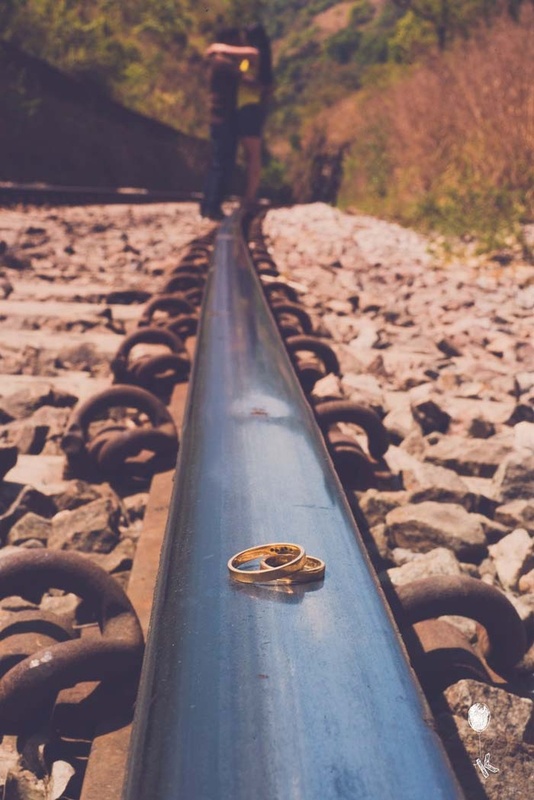 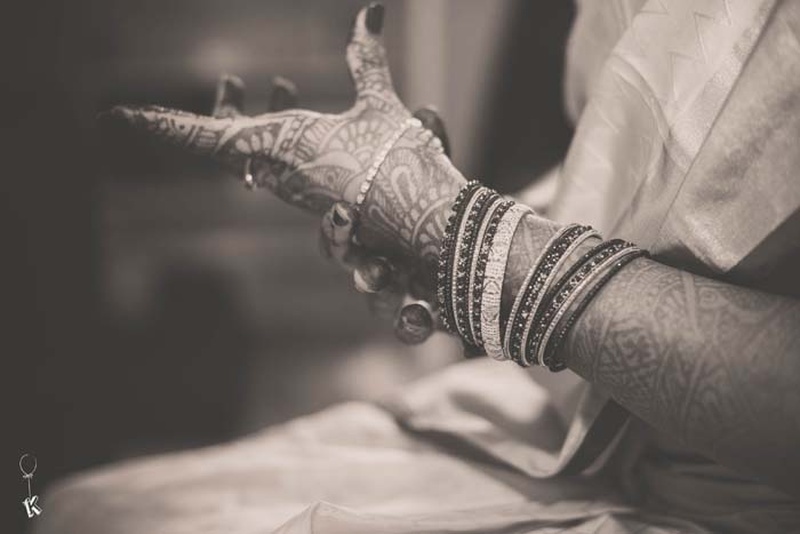 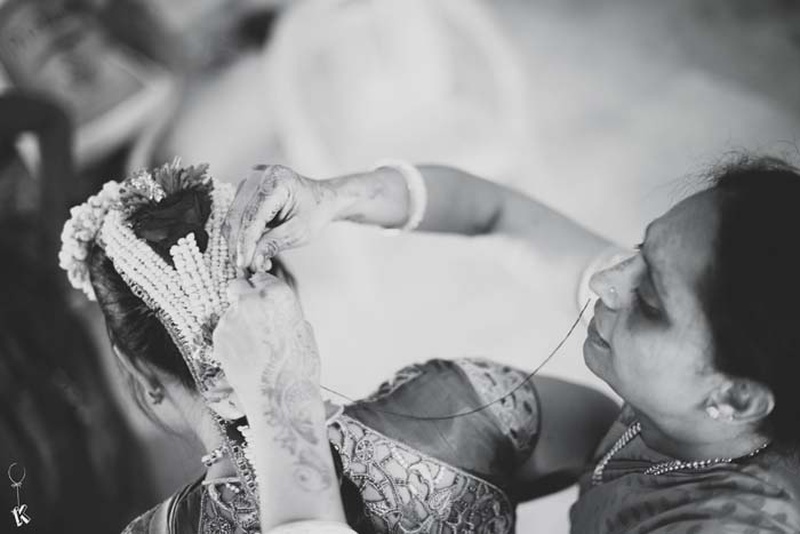 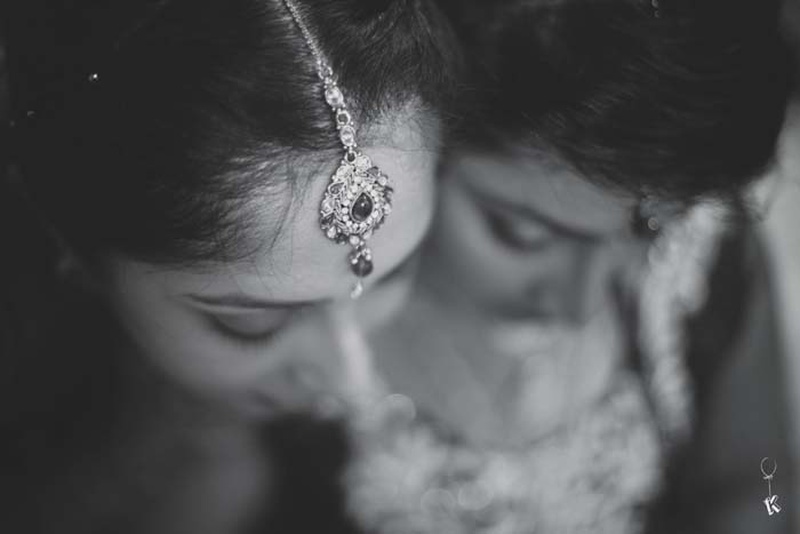 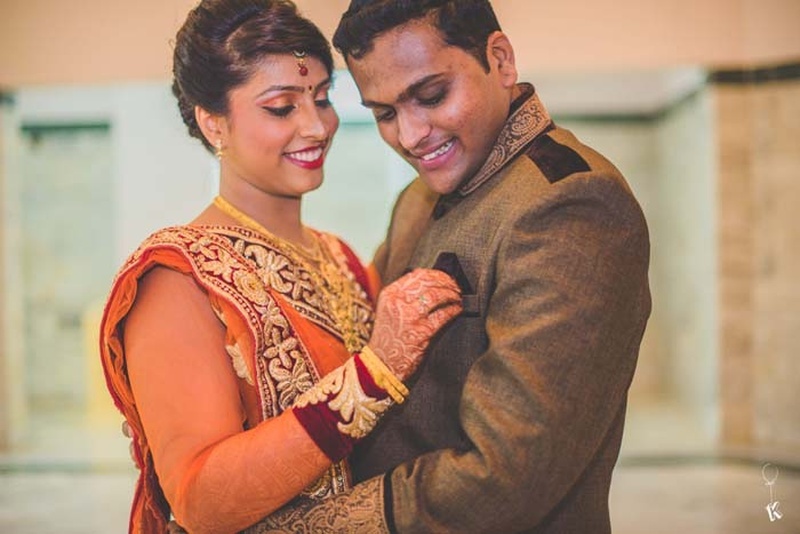 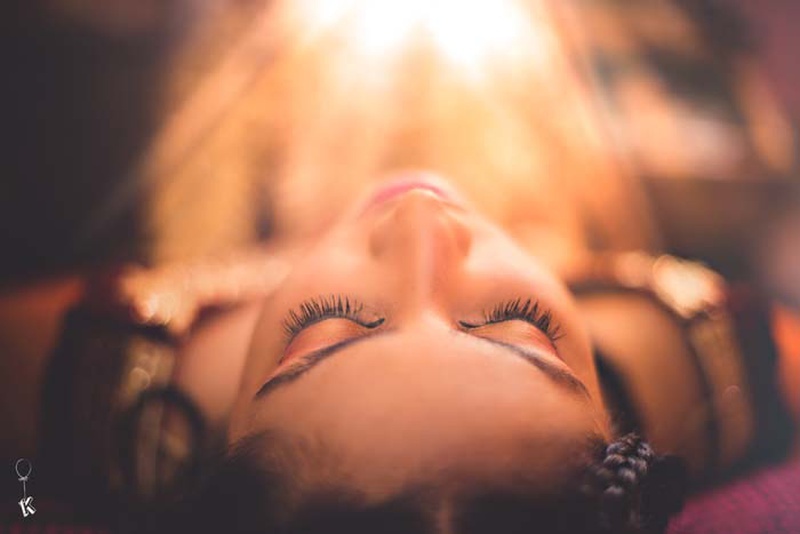 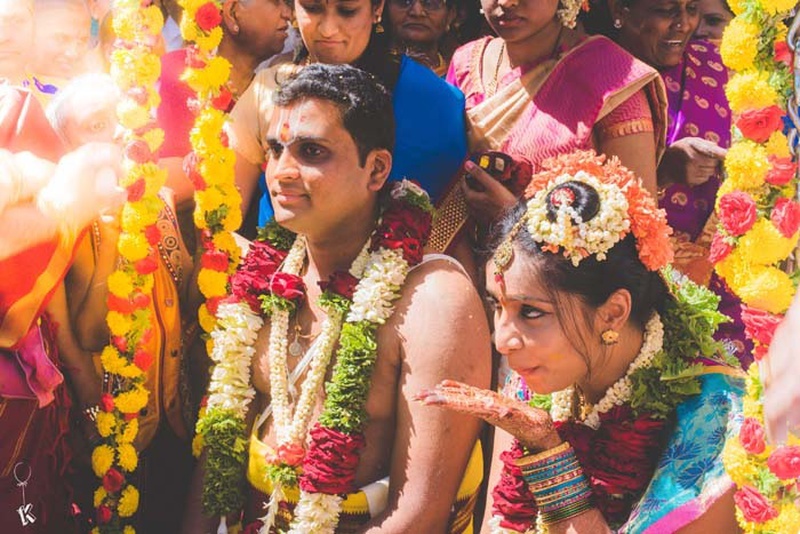 Kirti Nair Photography captured their love in camera lenses with perfect precision and style. 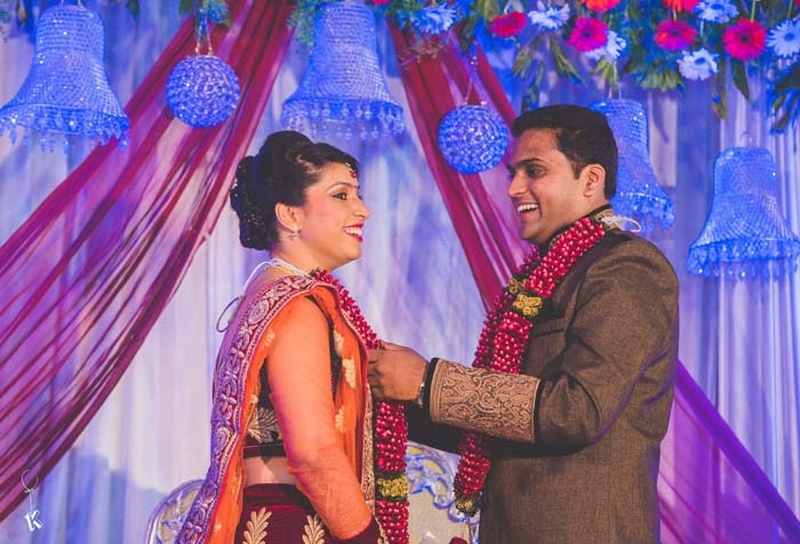 Not only at their pre-wedding shoot, but also at their traditional wedding held in a brightly-lit banquet hall. 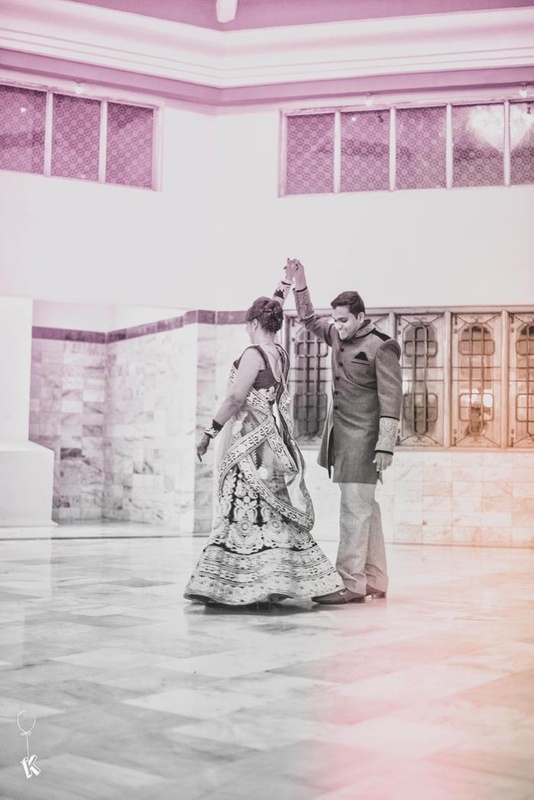 “The highlight of my entire wedding was how my husband and I could not stop talking! 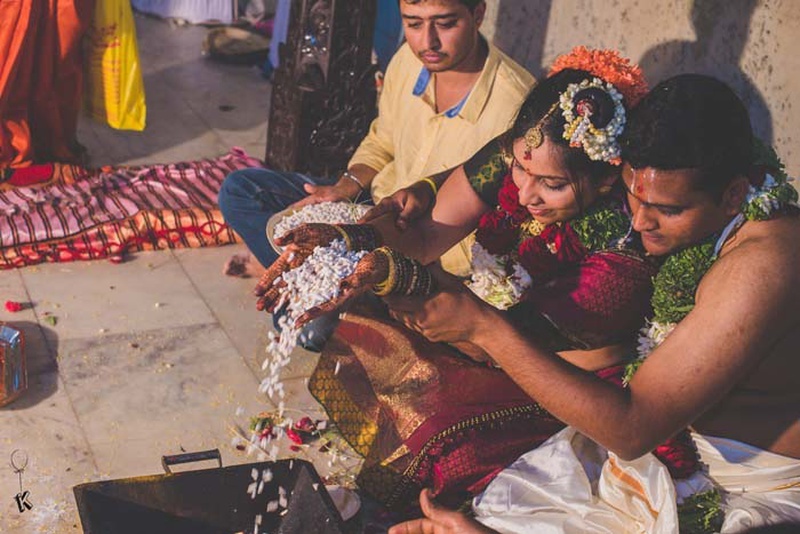 Throughout every ceremony, every ritual, even until the reception – we were continuously talking and laughing,” says the bride. 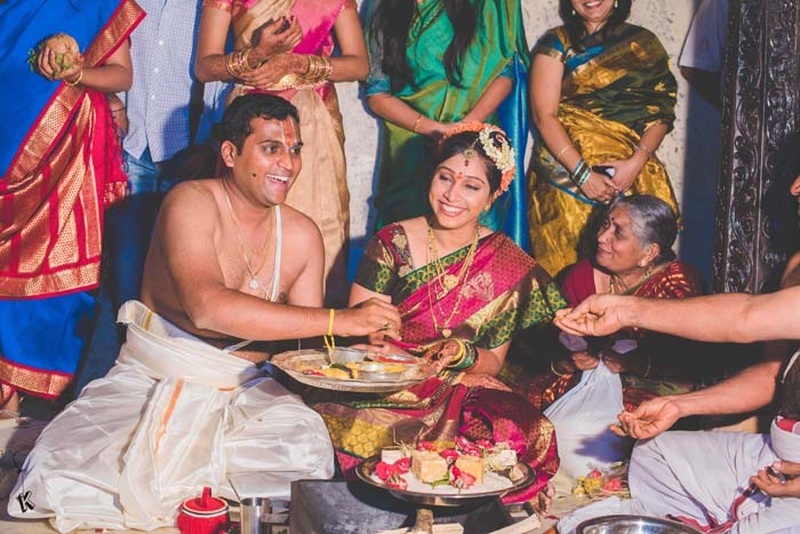 This union also brought with it a ritual we had never seen before! 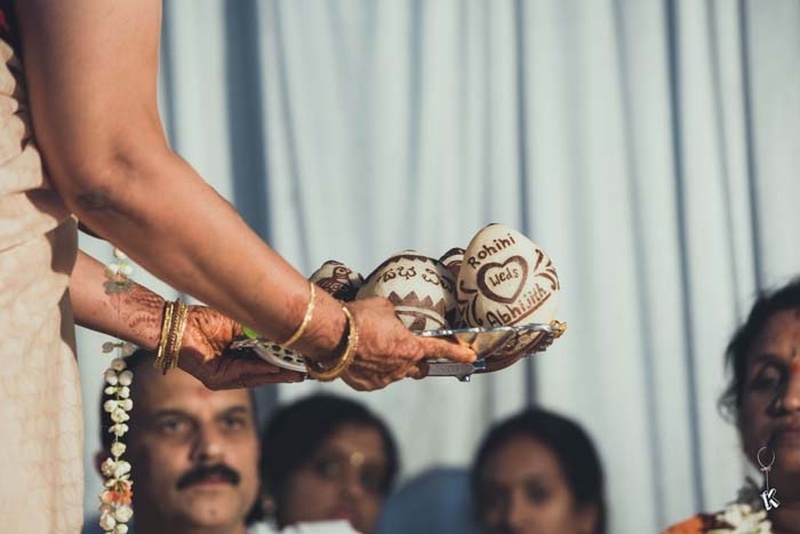 Coconuts were carved with Rohini and Abhijith’s names and various ethnic patterns and given to them as blessings from elders – a sweet gesture, so personalised yet not leaving behind their culture and religion. 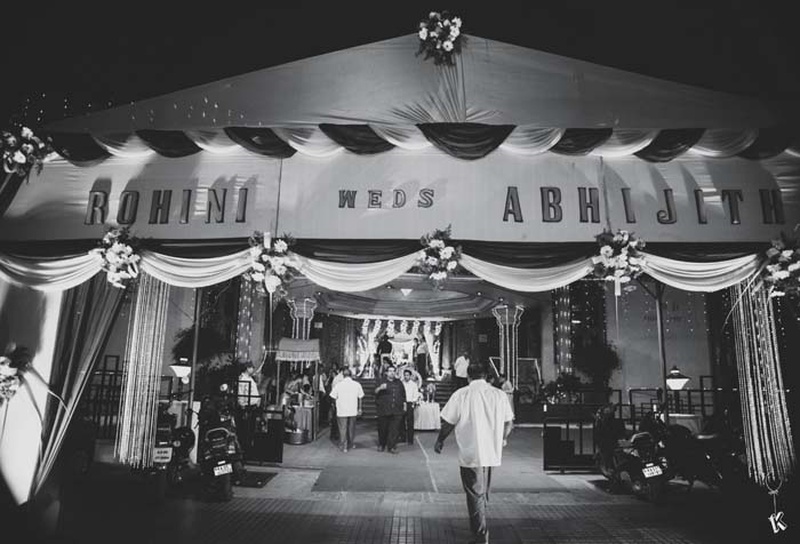 This wedding was planned out to be simple, but with all the love and happiness flowing around, it turned out to be a magnificent affair – we sure think so!